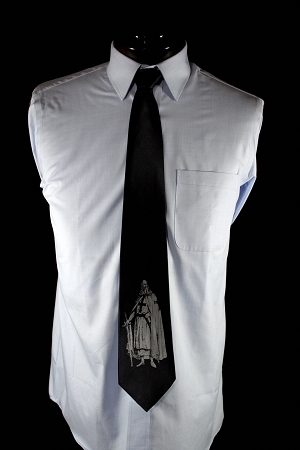 Wonderful Black Silk Tie with a dipiction of Jacque DeMolay on it. 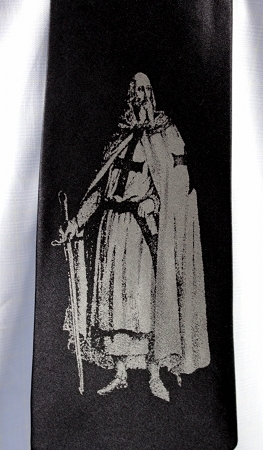 It must have been before the 13th of October, because he looks like he's smiling! !